Little Office of the Blessed Virgin Mary: 30. THE ASCENSION., PENTECOCST. THE ASCENSION. MARY IN THE "UPPER ROOM." PENTECOST. "All these were persevering with one mind in prayer with the women, and Mary the Mother of Jesus, and with His brethren"— Acts i. 14. The work of our redemption was accomplished, and the time was come, when our Saviour was about to leave the earth. But as a tender father, before leaving his children, gives them his last counsels, strengthens and consoles them, and sheds on the road on which they are entering the double light of his life and of his death, so our sweet Saviour constitutes the infant Church, and prepares her for the rude combats which await her. We have seen how much weakness still mingled with the love of the apostles for their Master, and with what difficulty they raised their drooping souls from the despair into which His bitter death had plunged them. He appeared to them all several times, He spoke to them, He showed them His wounds, He rendered doubt impossible. On the dearly loved banks of the Lake of Tiberias, He renewed the prodigy of the miraculous draught of fishes. Then when Peter, Andrew, James and John, recognized Him and threw themselves at His feet, He again pointed out the head of the Church among those rude fishermen whom it was His will to make fishers of men. He said to St. Peter, " Simon, son of John, lovest thou Me more than these ?" Peter humbly answered, "Yea, Lord, Thou knowest that I love Thee." No longer now did he place himself above his brethren, and cry, " Although all should be scandalized in Thee, I will never be scandalized." Peter, through his sin and his repentance, had learnt the frailty of man and the sweetness of God's pardon. Peter no longer spoke in his own name, but in the name of the Lord, and henceforth his strength was to be immovable. Jesus said to him: "Feed My lambs." But as Peter had thrice denied his Master, this tender Master desired to give him an occasion of confessing Him thrice. He therefore said to him again: "Simon, son of John, lovest thou Me ?" Peter replied, "Yea, Lord, Thou knowest that I love Thee." And our Saviour said: "Feed My lambs." For the third time Jesus said to him: " Simon, son of John, lovest thou Me?" Peter was grieved, and replied: "Lord, Thou knowest all things. Thou knowest that I love Thee." And Jesus said to him, "Feed My sheep." ( St. John xxi. 15,16, 17. ) This, then, is the shepherd given to our Saviour's flock in the place of the divine Shepherd, who is about to depart. Hence forth the sheep of His fold will never be without a guide. From the highest heaven, the Master will lead His servani who leads them. But many dangers threaten this little flock. "I send you," our Saviour had formerly said, " as sheep in the midst of wolves." The chosen shepherds must then be animated by a new spirit, wisdom and understanding must open their minds in which so much darkness still resists the divine light, and must enlighten their hearts, once so slow to believe. A wisdom more than human must guide them in the midst of perils, that they may save, not the earthly life of the disciples of the Crucified, but the sacred trust of truth in the midst of this world filled with falsehoods. And lastly, the strength of God must send them unarmed against the powers of evil, and make them conquerors; the knowledge of God must render them more learned than all the doctors of earthly science. Piety must cause them to find sweetness in trials borne for God. The fear of the Lord must surpass and extinguish all human fears. We know that, wisdom, understanding, counsel, fortitude, knowledge, piety and fear of the Lord, are the gifts of the Holy Ghost. Jesus consoling His disciples beforehand for His approaching death, said to them: "I will ask the Father, and He shall give you another Paraclete, that He may abide with you for ever. The Spirit of Truth Whom the world cannot receive because it seeth Him not, nor knoweth Him. But you shall know Him, because He shall abide with you, and shall be in you." His course as He went up, longing to follow Him, and thinking they still saw His divine hands stretched forth to bless them, as He ascended to His Father. 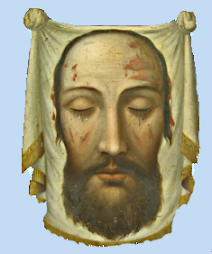 Sorrowful as children who have lost their father, they assemble in the place in which Jesus Himself had assembled them on the eve of His death, to eat the first true Pasch with them, and in which He had appeared amongst them, for the first time after His resurrection. It was as we have seen, a large furnished room, which Peter and John at the command of their Master had demanded, and which the master of the house had joyfully given. To them it was the most holy sanctuary in Jerusalem, consecrated by the great mystery of the holy Eucharist, and by the living memory of Jesus. Thither did those who had loved Him return to speak of Him, and to gather themselves around the twelve, and around her whom God had left for the consolation, enlightenment and support of the infant Church. "All these," say the Acts of the Apostles, "were persevering with one mind in prayer with the women, and Mary the Mother of Jesus." How wonderful were the prayers and communings of these first faithful ones! How ardently did they beseech their God not to leave them orphans, to send them according to His promise, the Holy Ghost; the Comforter ! How often did they tell over one to another every word, every least action of their Saviour! Each disciple contributed his recollection of what he had heard and seen. Each one who had witnessed the goodness and the miracles of infinite charity, shed abroad amongst men during the last three years, came to add one more touch to the divine story told by the apostles, as it were one more pearl to the treasure of the Church. John again and again told the sweetness of His love; Matthew and Bartholomew, the power of His divine vocation, to draw the soul away from the world; James and Andrew, the wonderful sweetness which His love gives to labour and poverty; Thomas, His mercy, and how He sheds into the soul the light of His faith. And Peter, with the dignity of a superior, and the humility of a Saint, Consoled His brethren by the authority of the divine promises, and calling to Blind the Passion and his own fall, Wept those tears, the source of which dried up only with his life, and Which, according to an ancient tradition Wore two furrows in his venerable countenance. And how wonderful was Mary's share in this treasure of memories, from which the inspiration of the Holy Ghost was to draw forth the Gospel! Then that pure light, hitherto obscured by the brightness of the glory of a present Jesus, was left to shine upon the eyes of men. And. now that the divine Sun has finished His earthly course, she, in whom is reflected the divine brightness, shines with a kindly light upon the earth. If our Saviour, in ascending to His Father, did not at once take with Him into His glory, her who had shared all His sufferings; if the holy mother had to remain for long years, still united to her Son by faith and love, hut deprived of His presence on this sad earth, it was because He left her a great mission to fulfil. Left in the midst of the infant Church, a venerable witness of the first mysteries of our faith, she was there to reflect the light of heaven on the truths which it had been our Lord's Will to leave in shade, during His earthly life, on the sacred marvels of His incarnation, His birth and His youth. The Holy Spirit shortly afterwards descended on the apostles, filling them with light and fire, rendering them worthy messengers of the Lord. But the inspiration of the Holy Spirit did not render useless their memories, and the testimony of the Blessed Virgin to the facts of the life and birth of Jesus Christ. His light showed to the apostles the hidden meaning of the things they had seen and heard, and of those which the Mother of God had since revealed to them. He gave them faith to believe it, and invincible courage to announce it to the world. But it was the will of God, that their personal testimony and that of the Blessed Virgin should b& an unanswerable proof to confound unbelievers in all ages, who would deny that which was revealed by divine inspiration alone. It was His Will, that these truths which we believe through His grace, since faith is a supernatural gift, should yet be surrounded with proofs, a thousand times more evident than those on which human reason is content to believe earthly events. Jesus Himself had said;' When the Paraclete cometh, Whom I will send you from the Father, the Spirit of truth, Who proceedeth from the Father, He shall give testimony of Me, and you shall give testimony, because you are with Me from the beginning." The apostles, inspired by the Holy Ghost, and endowed with miraculous powers, employed at the same time their authority as eye witnesses to convert souls. St. John announced to the first faithful, The word of life, that which was from the beginning, which we have heard, which we have seen with our eyes, which we have looked upon, and our hands have handled." Who then could render, this testimony more completely and more magnificently than the Blessed Virgin ? Of her it has been said, that she was with our Saviour from the beginning even unto the end. She and she alone knew of the miracle of the divine Incarnation, when the angel of the Lord announced it to her, and the Word was made flesh in her chaste womb. She kept the secret faithfully, and waited with brave humility, until the Lord sent His angel to Joseph to reveal to him the matchless dignity of the Immaculate Virgin, and the coming of the infant God. Joseph was dead when Jesus began to preach. She alone, then, could transmit to the apostles the marvels of the Infancy and of the Incarnation of Jesus. The Visitation, the first testimony borne to our Saviour by St. Elizabeth, the wonderful prophecy of the Magnificat, the holy Christmas night, the Worship of the Magi, the Presentation in the temple and the prophecy of Simeon, the wisdom of the Child Jesus, putting to shame the wisdom of the doctors, and lastly, the humble subjection in, which the first thirty years of our Saviour's life were passed. Of all these things, Mary was the sole witness. And St. Luke the Evangelist, who relates them more in detail, himself reveals to us this truth, by saying, three separate times, " And His Mother kept all these words in her heart." " As if," says a pious writer, "when entering into the details of these mysteries, the Evangelist wished to point out Mary as his authority." 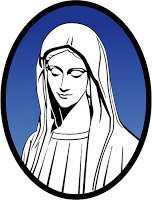 The light of Mary's testimony falls directly on the most fundamental articles of our faith. All Christian truths rest on the divinity of Jesus Christ. Now, although the homage of St. John the Baptist, the voice of God Himself speaking from the highest heaven, the person of our Saviour, His Majesty the might of His words, the splendour of His miracles, and the superhuman sanctity of His life should render a magnificent testimony to His divinity; ignorance or imperfect knowledge of the mystery of the Incarnation, caused men tremble, and command the sea and the storm; they cried out, a great Prophet has risen amongst Us, and they would willingly have made Him King, but when called upon to Worship. Him as God, they brought up against Him His apparent origin, and they were scandalized in Him. Thus wavering was the faith, even of the Apostles, nourished with the very word of our Saviour, honoured by His friendship, eye-witnesses of His miracles, until He had clearly convinced them of the truth of His resurrection, and had sent them His Holy Spirit, to perfect their instruction, and to strengthen them. How severely, then, would the faith of future Christians have been tried had they not perfectly known the divine mystery of the Incarnation of the Eternal Word, together with all the wonderful circumstances of the Annunciation of the Angel to Mary. God in His goodness has been pleased to spare us this trial, and on this point, so important to our faith, to give us the most complete light. He was pleased that the book which contained the treasure of our Saviour's teaching, should contain the whole secret of His adorable Incarnation, in order that, when the world no longer looked on "the person of the Word, it might have for the foundation of its faith, the living and perfect knowledge of the Incarnation of the Word in the immaculate womb of the most holy Virgin Mary." (Nicolas.) And to effect this what has He done ? He left on the earth her to whom " the treasure of so great a mystery had been given in charge, and who had, as it were, kept it buried in her heart in order that in due time it might be revealed to all the faithful." (This testimony cannot be regarded with suspicion, it is that of Calvin, quoted by Nicolas.) It was from her words, and, so to speak, under her dictation, that the Evangelists wrote the accounts of the Annunciation and of the birth of our Saviour, and it is beautiful to see that the Apostle who has spoken of the Incarnation of the "Word with the most majestic authority and in the most sublime language, is St. John, whom Jesus had left as a son to His Mother. "It is not surprising," says a great doctor of the Church, " that John should have spoken of the divine mysteries better than the other Evangelists, since he passed his life near the temple in which these heavenly mysteries were accomplished." Once more, then, let us bless Mary, for, according to the testimony of the devout author from whom I have taken all this chapter, she cooperated in the completion and perfection of the Christian faith, in the upper chamber at Jerusalem, as efficaciously as in the redemption on Calvary, and the Incarnation at Nazareth. As she is the Mother of our God, so is she the Mother of our faith, and we see now for what end she is in the upper chamber, and with what right she takes part in the great miracle of Pentecost. Spouse of the Holy Ghost, she was the first to be enlightened by His light. She is the spotless mirror, who is to reflect her light most powerfully on the infant Church. And that day three thousand souls were added to the Lord's flock, and God multiplied miracles by the hands of the apostles, and fear spread throughout Jerusalem. Souls prepared to receive the truth, came in crowds to seek it from the disciples of Jesus of Nazareth. Every time that Peter and his brethren spoke in the synagogues, or in the public places, thousands of penitent souls were gathered by the nets of these fishers of men. The Church was growing, and the holy Mother of God opened her arms to those in affliction, who were the first to fly to them for refuge. In vain did the impious Pharisees and the proud doctors of the law imprison the apostles, and cause them to be beaten with rods like their divine Master; and in vain did they bathe their hands in the blood of St. Stephen, the first martyr; they soon found by experience that nothing could stop either the power of the Word of God, or the growth of the grain of mustard seed, which, planted by our Saviour and watered with His blood, soon became a great tree, and threw its shadow far over the earth. When for a time our Lord seemed to suffer the wicked to triumph, and the apostles, according to the command of their Master, shook off from their feet the dust of the ungrateful city, it is said that the daughter of David left Jerusalem weeping as she had formerly left Nazareth, and that following the steps of her adopted son John, she gave the blessing of her presence to the new Church at Ephesus. It is said . that God left her on the earth for twenty-three years, to enlighten the apostles and evangelists, to encourage and instruct the first faithful, and to shine on the Infant Church in the twilight that followed the setting of the divine Sun, as she had shone . in that which ushered in His dawn. This day, let our hearts be fixed on our holy mother, accepting these last years of exile for the love of us, and sharing the labours of the apostles and the sufferings of the first Christians. Let us think of Mary, the Mother of our God, the Mother of our Faith. In how many souls has she not truly been the Mother of Faith, softening them, and preparing them by repentance for the pardon and light which her prayers were to obtain for them ! May she have softened some of us during this month which is drawing to a close, and blessed be our sweet Saviour for having assembled us to meditate together on her perfections! O holy Mother of Jesus, risen and triumphant at the right hand of His Father, by the exile which thou didst accept for us, take pity on thy children exiled on the earth. Thou wast pleased to taste of all our sorrows, and thy love for Jesus far surpassing ours, thou knowest better than any of us what a soul loses, which lives separated from its Saviour and its God. Teach us, then, the secret by which thou didst live with Him, though fax from Him. And then, O sweet, O merciful, O kind Virgin Mary, accomplish in our souls the holy ministry which thou didst accomplish on earth towards the first faithful. Pour down from thine own heart into ours the precious teaching of the hidden life of Jesus. Often recall our thoughts to it. Teach us to conform our lives to it, so that we may better understand His holy Word, and love His Will more entirely. May our exile be sweetened and sanctified by the thought of thine! May its days be filled with labour and love, and deign, O Mary, to open to us thine arms, that our exile, like thine, may end in our true country. Amen. To labour for the good of souls by example and prayer, while meditating on Mary's mission after the resurrection.